So WordPress 5.0 is finally here, and with that came Gutenberg. Being in the WordPress community I have seen a lot of users complaining about the new editor being too complex. This is because WordPress users have been used to of the classic editor and its simplicity. The new Gutenberg editor will make content management easier for bloggers and new users. On the flip side, the old timers and experienced users find it annoying to use the new editor. A major concern of WordPress users regarding Gutenberg is adaptability. Since we have been using the classic editor for so long, we are not ready to accept such a big change. Users have stormed various WordPress forums and communities with their questions on Gutenberg. I also have been contacted by my readers about the Gutenberg problems and so I decided to collect all those frequently asked questions about Gutenberg and tried to answer them so that users can adapt to the new editor quickly. How to increase font size in WordPress Gutenberg? How To add, change or select tags in WordPress Gutenberg? How to change font color in Gutenberg WordPress? You will then see image resize options, enter your desired Width and Height in the fields and hit scale. Q) How to change the permalink of a specific page/post in WordPress Gutenberg? Select a page/post that you want to edit. On the top right side, you will see a Settings icon. Click on it and you will see a permalink option. Note: Make sure you have a title of the post. Click on Permalink and you will see the option to change the permalink of that specific page. While editing your new or old post, click on the Settings icon. Create a new post on the Gutenberg editor. 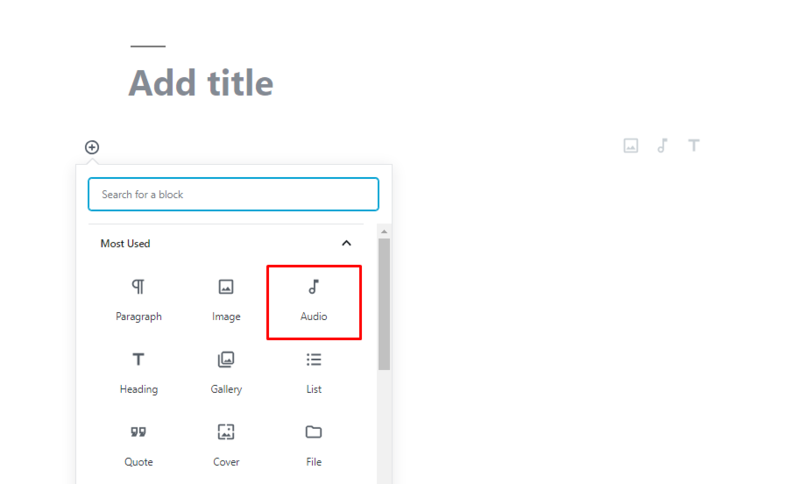 You can either add existing audio from the library or upload one from your system. Q) How to increase font size in WordPress Gutenberg? After clicking on Text Settings, you will see Font Size option. Select the font size you want for your text. If you want to set custom size, you can enter the size in the field next to Font Size. Q) How To add, change or select tags in WordPress Gutenberg? You can now add new Tags in the field. Note: Existing tags will appear as you type. While editing your post on Gutenberg, copy and paste the URL of the video you want to embed in the visual area of the editor. URL embed works for platforms like Youtube, Vimeo, Dailymotion and more. 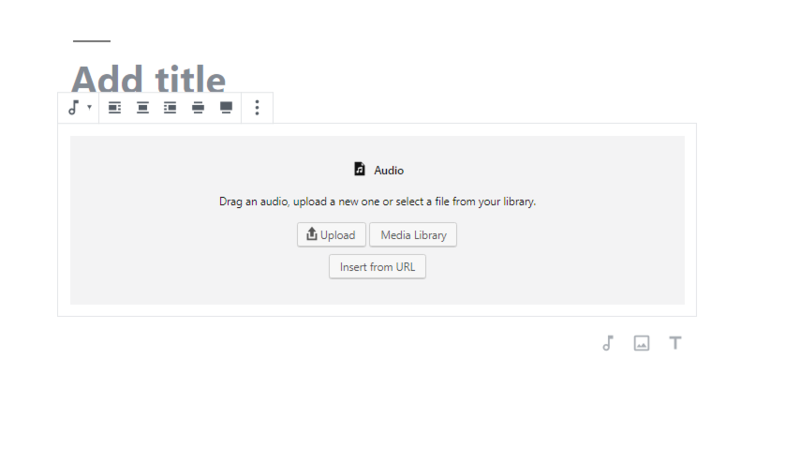 You can also add a Video Block and insert URL of the video or upload a video file from your computer. Q) How to change font color in Gutenberg WordPress? Go to Settings and select Color Settings to see color options. While you are editing your post on the Gutenberg editor, click on Settings Icon. Your featured image will be set. 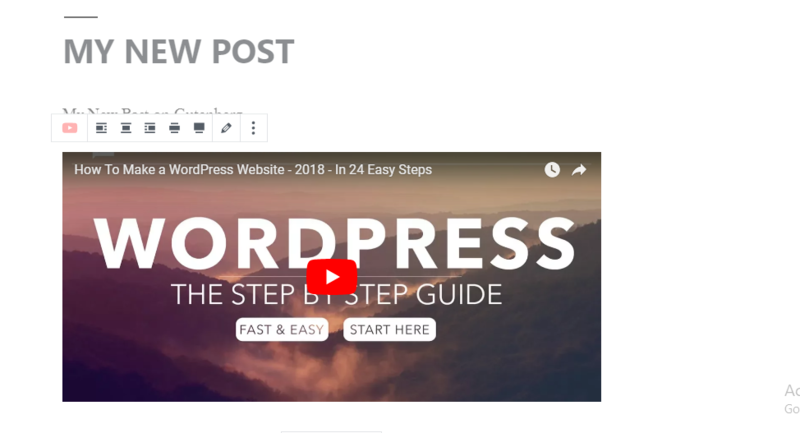 While editing your post on Gutenberg, copy and paste the video URL from Vimeo you want to embed in the visual area of the editor. You can also add an Embed Block and select Vimeo and then paste the URL of the Vimeo video you wish to embed. The post 10 Most Commonly Asked WordPress Gutenberg FAQs Answered appeared first on WPblog.